If you use Shareaholic you're either going to shake your head and say yesssss while reading this or you're going to think to yourself, what on earth is she talking about? If you're the latter? I'm talking to you. Shareaholic is a wonderful tool. 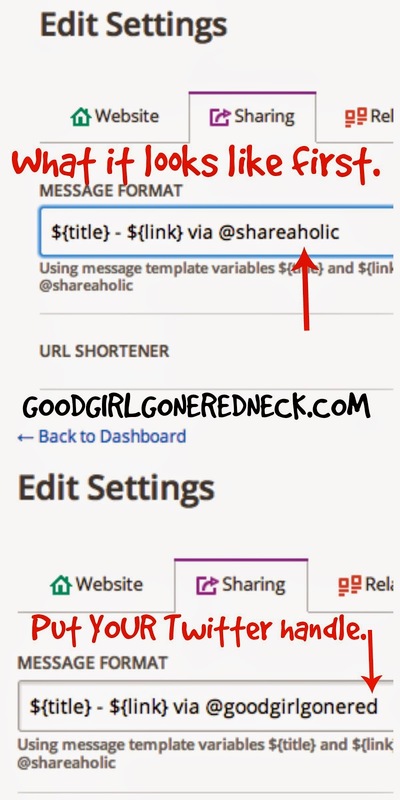 When I got my blog revamped and finally figured out how to safely manipulate the code and whatnot I decided Shareaholic was the way to go. It's so easy and benefits my blog so much I couldn't NOT do it. In case you're still not sure what I'm talking about I'll clarify a bit more before diving into the dirty details. First, these buttons you see on your site and others? They come from Shareaholic. If you didn't do your blog design and haven't made any edits to the HTML you might not know this. It's really simple to use and truly helps people promote your work. The problem is, Twitter. You surely know from experience that when you go to share a post from someone and the tweet gets filled in for you with the title - that's pretty awesome and simple - right? I love it. I love to be able to not only share someone's work, but to be able to both, give them complete credit AND a notification that they've been shared. Many bloggers out there don't make this easy on me. Or us. First, they don't have the tools on their site to make sharing simple. That's HUGE. Seriously. HUGE. Add the icons. It's easy and a MUST. When someone goes to tweet from your site they want to give you credit. And someone like me will usually change out your handle to ensure you get it. Other people aren't going to bother with that. And who can blame them? None of us want Shareaholic getting credit for our work. But you've got to be the one to make sure that happens. This is what it looks like when someone tweets from your blog with the Shareaholic button. Thing is - the default is set to say @Shareaholic. NOT @whateveryourTwitterhandleis. Let's change that immediately. I promise it's really easy. And I know people aren't not doing it because it's hard. They're not doing it because either they have no idea that it's happening - and seriously - why would you think that the tool you're using wouldn't credit you for your work - right? Or they just haven't taken the time to look into it. Here's a step-by-step for you. 2. 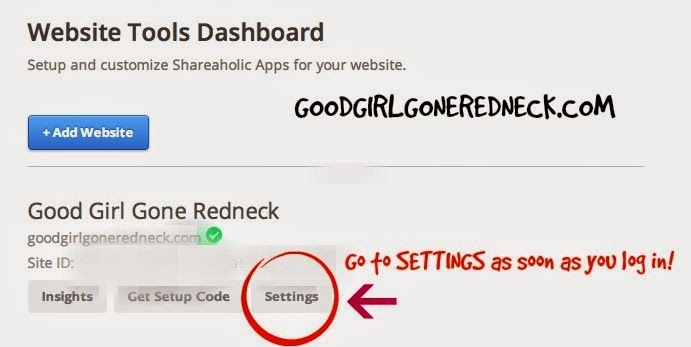 Go to your Website Dashboard (dropdown from your profile name in the upper right-hand corner). So - what do you think? Make sense? Because sometimes I think it's helpful to hear from someone who isn't a tech addict, though knows her way around a little HTML just the same. So I wrote this one. It's been brewing for a while as I wanted to get it up last year, but life gets in the way sometimes and so here it is for you now. If you're a regular reader you know I don't do these posts very often. 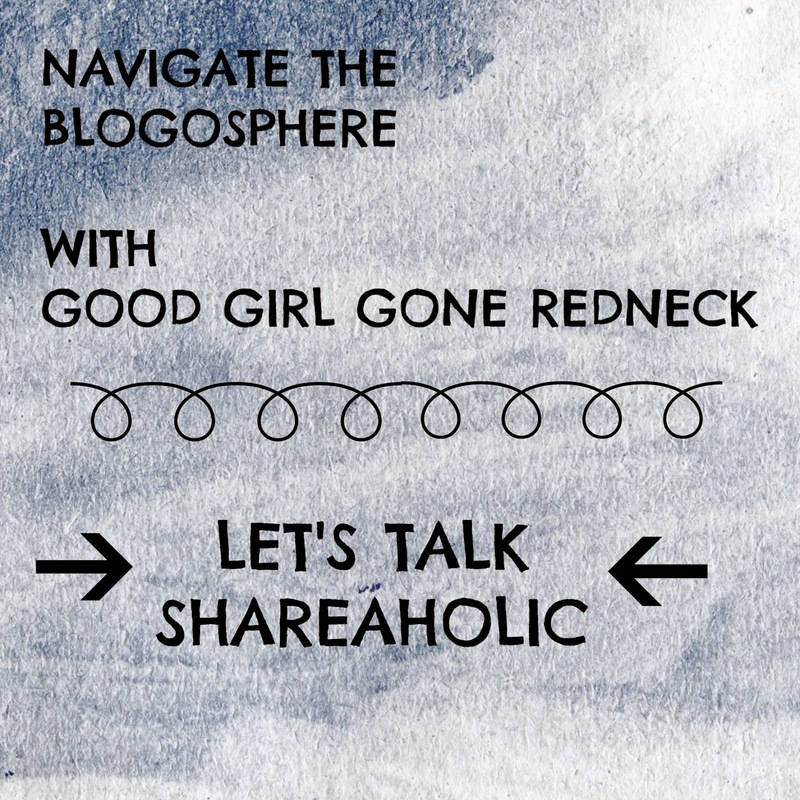 I've got this Navigate the Blogosphere series happening but I do them too infrequently for even my own taste. 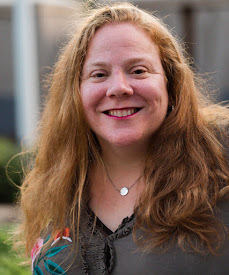 Check out my previous posts on The best possible ways to use Facebook, the NC Blogger Network, and if you just want to pick my brain on blogging in general I have a variety of posts under my Blogging category that cover things from conferences to connections. Share buttons are so important. Sometimes I visit a blog and want to share, but they don't have any buttons. I used to have sharing buttons like this (not Sharaholic, but a similar service) and then they went out of business. Well, I don't know if out of business is the right term, but they shut down. So then I added all of the share buttons individually - and sometimes they take a long time to load. All of that to say...I am putting this on my todo list. And thank you for doing all the work for my by figuring out which buttons to use!! Great tutorial. I usually try to change the Twitter handle if I know the bloggers Twitter handle but I know I have gotten it wrong sometimes too. It's so easy to change! Thanks for sharing! AWESOME! I have always wanted my tweets to go out this way and cannot figure out how to fix this. The plugin I'm currently using for my wordpress not like this. However, if I do go and change it using the Shareaholic plug, will this erase all of my current numbers with my current tweets, shares, and likes? I have a lot!! Thanks I did this immediately! I had no idea that I needed to do this Thanks so much for the heads up! This is definitely good info. Do you know if this is available for those of us who don't own our site? I use WP, and am hosted there (example: blahblah.wordpress.com)and find many of the tools I should be using aren't compatible. Or maybe I'm not doing it right. Who knows? Do you? Maybe I need to take a class. Anywho, thanks for sharing this, I'll definitely be looking into it! 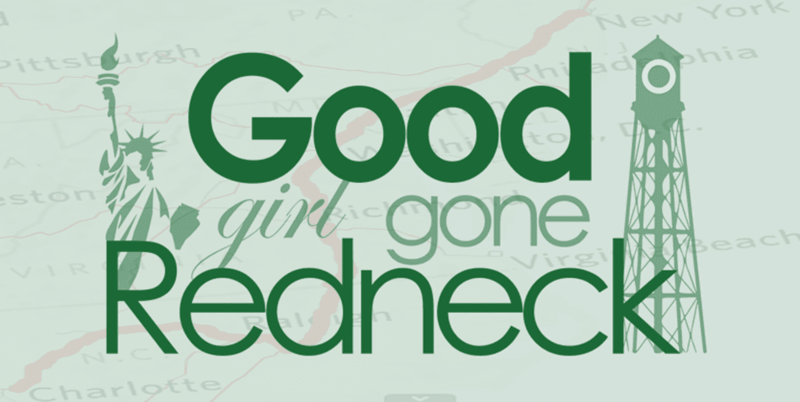 Andrea, I had my webmaster do this for me a while back, as it was so frustrating not to get notifications! Good post! Thanks for the great write up! I actually work at Shareaholic, and we love to hear our customer's feedback! If there is anything that we can ever do to help you out, don't hesitate to contact us at support@shareaholic.com. Keep up the great work! Thank you! That was so easy to do! I love, love, LOVE Shareaholic! I have seen a lot more pinterest and twitter action since using them! This is a great tutorial! Thanks for sharing! Great tutorial....thanks so much for walking us thru that! Thanks for sharing this. I love learning new ways to publicize my blog. Andrea, I need much help modernizing my blog! I am stuck in a rut as I have blogged almost 8 years and still use all the old formats--shame on me! I just don't have much time to devote to jazzing in up right now. Wish you lived nearby so we could get together and you could show me what to do. I guess someday I'll have to pay someone to do it all for me. I will be back to look at this post more closely. Thanks! Such advice! I do the same thing. I want to know when someone shares my blog posts on Twitter so I can retweet it. Since they went to all the trouble of sharing my post, the least I can do is retweet it and thank them. I wrote on my blog and linked a friend's website, she went to my site to read it and share....I had no share buttons...guess what?!?!?!? Now I do! Thank you so much! I am new here and I am a fan! Yay!!!! Thanks Andrea, this was just what I needed! Just got to this on my blog to do list and thank you. THANK YOU! I had been wondering how to fix this. Done! Great tips! I use Simple Shares and just realized that I'm not being notified when readers share my stuff. Gotta fix that!! !